J. Wang, R.M. Wolf, J.W. Caldwell, P.A. Kollman and D.A. Case. Development and testing of a general Amber force field. J. Comput. Chem. 25, 1157-1174 (2004). J. Wang, W. Wang, P.A. Kollman and D.A. Case. Automatic atom type and bond type perception in molecular mechanical calculations. J. Mol. Graphics. Model. 25, 247-260 (2006). T. Steinbrecher, D.L. Mobley and D.A. Case. Non-linear scaling schemes for Lennard-Jones interactions in free energy calculations. J. Chem. Phys. 127, 214018 (2007). R.C. Walker, M.F. Crowley and D.A. Case. The implementation of a fast and accurate QM/MM potential method in Amber. J. Comput. Chem. 28, 1019-1031 (2008). T. Steinbrecher, I.S. Joung and D.A. Case. Soft-core potentials in thermodynamic integration - Comparing one- and two-step transformations. J. Comput. Chem. 32, 3253-3263 (2011). J. Latzer, T. Steinbrecher and D.A. Case. Revised AMBER parameters for bioorganic phosphates. J. Chem. Theory Comput. 8, 4405-4412 (2012). D.S. Cerutti, J.E. Rice, W. Swope, and D.A. Case. Derivation of fixed partial charges for amino acid analogs accommodating a specific water model and implicit polarization. J. Phys. Chem. B 117, 2328-2338 (2013). D.S. Cerutti, W.C. Swope, J.E. Rice and D.A. Case. ff14ipq: A self-consistent force field for condensed-phase simulations of proteins. J. Chem. Theory Comput. 10, 4515-4534 (2014). I. Ivani, P.D. Dans, A. Noy, A. Pérez, I. Faustino, A. Hopsital, J. Walther, P. Andrió, R. Goñi, A. Balaceanu, G. Portella, F. Battistini, J.L. Gelpí, C. González, M. Vendruscolo, C.A. Laughton, S. Harris, D.A. Case and M. Orozco. Parmbsc1: A refined force field for DNA simulations. Nature Methods 13, 55-58 (2016). K.T. Debiec, D.S. Cerutti, L.R. Baker, A.M. Gronenborn, D.A. Case, and L.T. Chong. Further along the Road Less Traveled: AMBER ff15ipq, an Original Protein Force Field Built on a Self-Consistent Physical Model. J. Chem. Theory Comput. 12, 3926-3947 (2016). Y. Hu, B. Sherborne, T.-S. Lee, D.A. Case, D.M. York and Z. Guo. Predicting relative binding affinity with workflow approaches: a comparison of AMBER TI and Schrödinger FEP.J. Comput. Aided Mol. Des. 30, 533-539 (2016). A. Albaugh, R.T. Bradshaw, O. Demerdash, J. Dziedzic, Y. Mao, D.T. Margul, J. Swails, H.A. Boateng, D.A. Case, P. Eastman, J.W. Essex, M. Head-Gordon, V.S. Pande, J. Ponder, Y. Shao, C. Skylaris, I.T. Todorov, M.E. Tuckerman, Q. Zeng, T. Head-Gordon. Advanced Potential Energy Surfaces for Molecular Simulation. J. Phys. Chem. B 120, 9811-9821 (2016). D.S. Cerutti, K.T. Debiec, D.A. Case and L.T. Chong. Links between the charge model and bonded parameter force constants in biomolecular force fields. J. Chem. Phys. 147, 161730 (2017). T.-S. Lee, D.S. Cerutti, D. Mermelstein, C. Lin, S. LeGrand, T.J. Giese, A. Roitberg, D.A. Case, R.C. Walker, and D.M. York. GPU-accelerated molecular dynamics and free energy methods in Amber18: performance enhancements and new features. J. Chem. Inf. Model. 58, 2043-2050 (2018). A.B. Rubenstein, K. Blacklock, H. Nguyen, D.A. Case and S.D. Khare. Systematic comparison of Amber and Rosetta energy functions for protein structure evaluation. J. Chem. Theory Comput. (in press). D.S. Cerutti, P.L. Freddolino, R.E. Duke, Jr. and D.A. Case. Simulations of a protein crystal with a high resolution X-ray structure: Evaluation of force fields and water models. J. Phys. Chem. B 114, 12811-12824 (2010). P.A. Janowski, D.S. Cerutti, J. Holton and D.A. Case. Peptide crystal simulations reveal hidden dynamics. J. Am. Chem. Soc. 135, 7938-7948 (2013). X. Wu, S. Subramaniam, D.A. Case, K. Wu and B.R. Brooks. 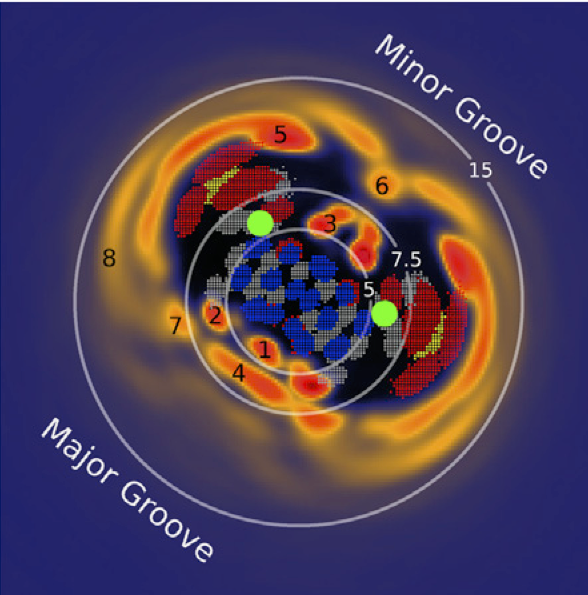 Map constrained self-guided Langevin dynamics. J. Struct. Biol. 183, 429-440 (2013). H. Nguyen, S.A. Pabitt, S. Meisburger, L. Pollack and D.A. Case. Accurate small and wide angle X-ray scattering profiles from atomic models of proteins and nucleic acids. J. Chem. Phys. 114, 22D508 (2014). C. Liu, P.A. Janowski and D.A. Case. All-atom crystal simulations of DNA and RNA duplexes. Biochim. Biophys. Acta 1850, 1059-1071 (2015). P.A. Janowski, C. Liu and D.A. Case. Molecular dynamics of triclinic lysozyme in a crystal lattice. Prot. Sci. 25, 87-102 (2016). H.T. Nguyen, S.A. Pabit, L. Pollack and D.A. Case. Extracting water and ion distributions from small angle X-ray scattering experiments. J. Chem. Phys. 144, 214105 (2016). P.A. Janowski, N.W. Moriarty, B.P. Kelly, D.A. Case, D.M. York, P.D. Adams and G.L. Warren. 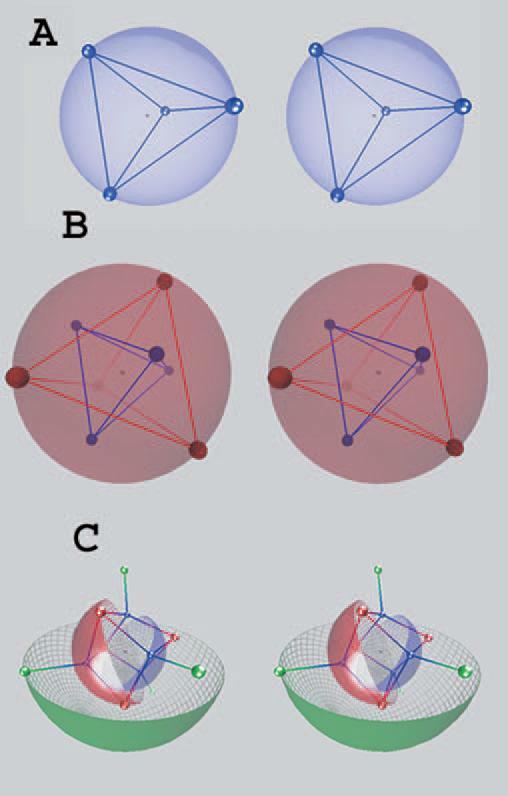 Phenix-AFITT: Improved ligand geometries in crystallographic refinement using AFITT in Phenix. Acta Cryst. D 72, 1062-1072 (2016). K. Zhang, S. Keane, Z. Su, R.N. Irobalieva, M. Chen, J. Marchant, X. Heng, M.F. Schmid, D.A. Case, S.J. Ludtke, M.F. Summers and W. Chiu. Structure of the 30 kDa HIV-1 RNA Dimerization Signal by a Hybrid of CryoEM, NMR and Molecular Dynamics. Structure 26, 490-498 (2018). M.F. Roberts, Q. Cui, C.J. Turner, D.A. Case and A.G. Redfield. High resolution field-cycling NMR studies of a DNA octamer as a probe of phosphodiester dynamics, and comparisons with computer simulation. Biochemistry 43, 3637-3650 (2004). V. Wong, D.A. Case and A. Szabo. Influence of the coupling of interdomain and overall motions on NMR relaxation. Proc. Natl. Acad. Sci. USA 101, 11016-11021 (2009). B.S. Tolbert, Y. Miyazaki, S. Barton, B. Kinde, P. Starck, R. Singh, A. Bax, D.A. Case, and M.F. Summers. Major groove width variations in RNA structures determined by NMR and impact of 13C residual chemical shift anisotropy and 1H--13C residual dipolar coupling on refinement. J. Biomol. NMR 47, 205-219 (2010). J. Xia and D.A. Case. Sucrose in aqueous solution revisited. 1. Molecular dynamics simulations and direct and indirect dipolar coupling analysis. Biopolymers, 97, 276-288 (2012). J. Xia and D.A. Case. Sucrose in aqueous solution revisited. 2. Adaptively biased molecular dynamics simulations and computational analysis of NMR relaxation. Biopolymers, 97, 289-302 (2012). H. Zhang, G. Hou, M. Lu, J. Ahn, I.-J. Byeon, C.J. Langmead, J.R. Perilla, I. Hung, P.L. Gor’kov, Z. Gan, W. Brey, D.A. Case, K. Schulten, A.M. Gronenborn, and T. Polenova. HIV-1 Capsid Function is Regulated by Dynamics: Quantitative Atomic-Resolution Insights by Integrating Magic-Angle-Spinning NMR, QM/MM, and MD. J. Am. Chem. Soc. 138, 14066-14075 (2016). D.A. Case and N.R. Skrynnikov. Interview with David A. Case: on force fields, biomolecular modeling, and NMR. Concepts Magn. Reson. Part A e21403 (2018). G.M. Giambasu, D.M. York and D.A. Case. Structural fidelity and NMR relaxation analysis in a prototype RNA hairpin. RNA 21, 963-974 (2015). S.C. Keane, X. Heng, K. Lu, S. Kharytonchyk, V. Ramakrishnan, G. Carter, S. Barton, A. Hosic, A. Florwick, J. Santos, N. Bolden, S. McCowin, D.A. Case, B. Johnson, M. Salemi, A. Telesnitsky, and M.F. Summers. Structure of the HIV-1 RNA packaging signal. Science, 348, 917-921 (2015). I. Fu, D.A. Case and J. Baum. Dynamic water-mediated hydrogen bonding in collagen model peptides. Biochemistry 54, 6029-6037 (2015). L. Salmon, G.M. Giambasu, E.N. Nikolova, K. Petzold, A. Bhattacharya, D.A. Case and H.M. Al-Hashimi. Modulating RNA Alignment Using Directional Dynamic Kinks: Application in Determining an Atomic-Resolution Ensemble for a Hairpin using NMR Residual Dipolar Couplings. J. Am. Chem. Soc. 137, 12954-12965 (2015). C.-H. Hsu, S. Park, D.E. Mortenson, B.L. Foley, R.J. Woods, D.A. Case, E.T. Powers, C.-H. Wong, H.J. Dyson and J.W. Kelly. The Dependence of Carbohydrate--Aromatic Interaction Strengths on the Structure of the Carbohydrate. J. Am. Chem. Soc. 138, 7636-7648 (2016). J.J. Bouchard, J. Xia, D.A. Case and J.W. Peng. A new approach for ensemble descriptions of interdomain motions: application to Pin1. J. Mol. Biol. 430, 2164-2180 (2018). M. Zhang, D.A. Case, and J.W. Peng. Propagated perturbations from a peripheral mutation map interactions supporting WW domain thermostability. Structure 26, 1474-1485 (2018). S. Tang and D.A. Case. Vibrational averaging of chemical shift anisotropies in model peptides. J. Biomol. NMR. 38, 255-266 (2007). S. Tang and D.A. Case. Calculation of chemical shift anisotropy in proteins. J. Biomol. NMR 51, 303-312 (2011). D.A. Case. Chemical shifts in biomolecules. Curr. Opin. Struct. Biol. 23, 172-176 (2013). J. Swails, T. Zhu, X. He and D.A. Case. AFNMR: Automated fragment quantum mechanical calculations of chemical shifts in biomolecules. J. Biomol. NMR 63, 125-139 (2015). J. Kraus, R. Gupta, J. Yehl, M. Lu, D.A. Case, A.M. Gronenborn, M. Akke, and T. Polenova. Chemical Shifts of the Carbohydrate Binding Domain of Galectin-3 from Magic Angle Spinning NMR and Hybrid Quantum Mechanics/Molecular Mechanics Calculations. J. Phys. Chem. B 122, 2931-2939 (2018). M. Fritz, C.M. Quinn, M. Wang, G. Hou, X. Lu, L.M.I. Koharudin, J. Struppe, D.A. Case, T. Polenova and A.M. Gronenborn. Accurate determination of backbone chemical shift tensors in microcrystalline proteins by integrated MAS NMR and QM/MM. Phys. Chem. Chem. Phys. 20, 9543-9553 (2018). H. Shi, M.C. Clay, A. Rangadurai, B. Sathyamoorthy, D.A. Case, and H.M. Al-Hashimi. Atomic Structures of Excited State A-T Hoogsteen Base Pairs in Duplex DNA by Combining NMR Relaxation Dispersion, Mutagenesis, and Chemical Shift Calculations. J. Biomol. NMR 70, 229-244 (2018). A. Onufriev, D.A. Case and G.M. Ullmann. A novel view of pH titration in biomolecules. 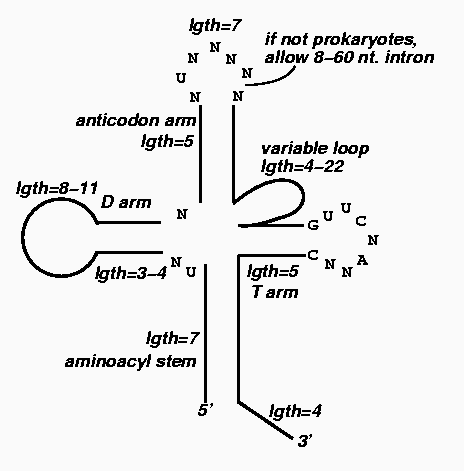 Biochemistry 40, 3413-3419 (2001). N.A. Baker, D. Bashford and D.A. Case. Implicit solvent electrostatics in biomolecular simulation. In New Algorithms for Macromolecular Simulation, B. Leimkuhler, C. Chipot, R. Elber, A. Laaksonen, A. Mark, T. Schlick, C. Schütte, and R. Skeel, eds. (New York: Springer-Verlag, 2006), pp. 263-295. T. Luchko, I.S. Joung and D.A. Case. Integral equation theory of biomolecules and electrolytes. In: Innovations in Biomolecular Modeling and Simulation, T. Schlick, ed. (London, Royal Society of Chemistry, 2012), pp. 51-86. I.S. Joung, T. Luchko and David A. Case. Simple electrolyte solutions: Comparison of RISM and molecular dynamics results for alkali halide solutions. J. Chem. Phys. 138, 044103 (2013). G.M. Giambasu, M.K. Gebala, M.T. Panteva, D.A. Case, D. Herschlag and D.M. York. Competitive interaction of monovalent cations with DNA predicted by 3D-RISM. Nucl. Acids Res. 43, 8405-8415 (2015). J. Johnson, D.A. Case, T. Yamazaki, S. Gusarov, A. Kovalenko and T. Luchko. Small Molecule Solvation Energy and Entropy from 3D-RISM. J. Phys. Cond. Mat. 28, 344002 (2016). A.P. Graves, D.M. Shivakumar, S.E. Boyce, M.P. Jacobson, D.A. Case and B. Shoichet. Rescoring docking hit lists for model cavity sites: predictions and experimental testing. J. Mol. Biol. 377, 914-934 (2008). M.C. Thielges, D.A. Case and F.E. Romesberg. Carbon-deuterium bonds as probes of electrostatics in dihydrofolate reductase. J. Am. Chem. Soc. 130, 6597-6603 (2008). A.A. Fuller, D. Du, F. Liu, J.E. Davoren, G. Bhabha, G. Kroon, D.A. Case, H.J. Dyson, E.T. Powers, P. Wipf, M. Gruebele, and J.W. Kelly. Evaluation of β-sheet folding nucleation kinetics by β-turn mimics. Proc. Natl. Acad. Sci. USA 101, 11067-11072 (2009). R. Chaudhuri, S. Tang, G. Zhao, H. Lu, D.A. Case and M.E. Johnson. 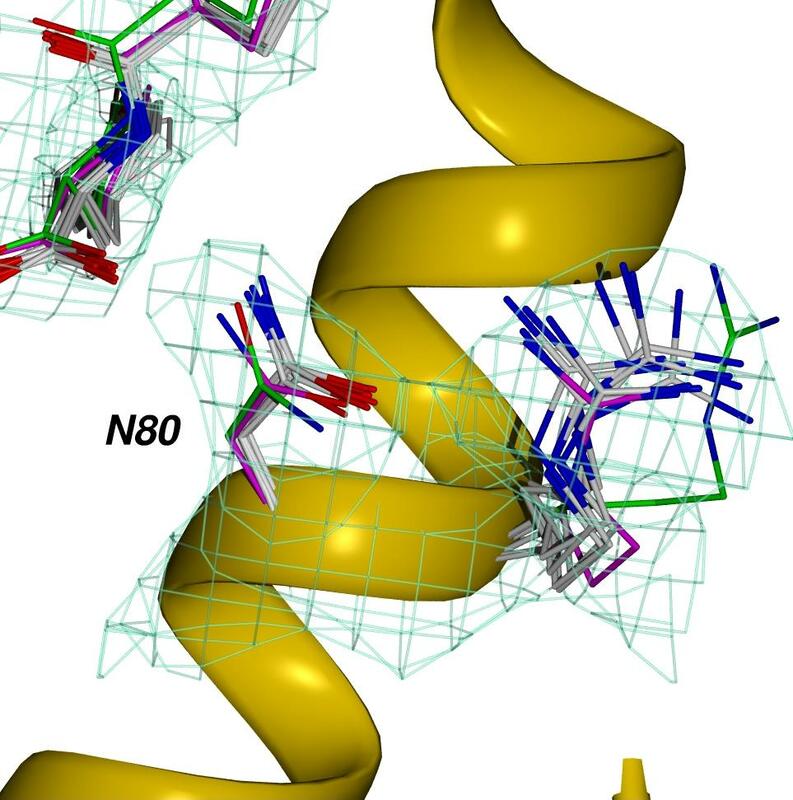 Comparison of SARS and NL63 papain-Like protease binding sites and binding site dynamics: Inhibitor design implications. J. Mol. Biol. 414, 272-288 (2011). C.L. Hoop, J. Zhu, A.M. Nunes, D.A. Case and J. Baum. 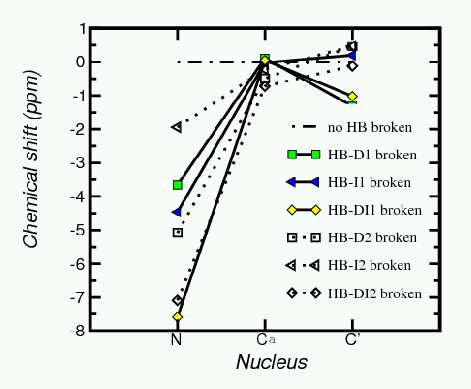 Revealing accessibility of cryptic protein binding sites within the functional collagen fibril. Biomolecules 7, 76 (2017). F.-Y. Dupradeau, D.A. Case, C. Yu, R. Jimenez and F.E. Romesberg. Differential solvation and tautomer stability of a model base pair withing the minor and major groove of DNA. J. Am. Chem. Soc. 127, 15612-15617 (2005). D.H. Mathews and D.A. Case. Nudged Elastic Band calculation of minimal energy pathways for the conformational change of a GG mismatch. J. Mol. Biol. 357, 275-291 (2006). Y. Bomble and D.A. Case. Multiscale modeling of nucleic acids: Insights into DNA flexibility. Biopolymers, 89, 722-731 (2008). T.E. Cheatham, III and D.A. Case. Twenty-five years of nucleic acid simulations. Biopolymers 99, 969-977 (2013). M. Pasi, J.H. Maddocks, D. Beveridge, T.C. Bishop, D.A. Case, T. Cheatham III, B. Jayaram, F. Lankas, C. Laughton, J. Mitchel, R. Osman, M. Orozco, D. Petkeviciute, N. Spackova, J. Sponer, K. Zakrzewska and R. Lavery. μABC: a systematic microsecond molecular dynamics study of tetranucleotide sequence effects in B-DNA. Nucl. Acids Res. 42, 12272-12283 (2014). Y. Xiao, K. Fisher, M.C. Smith, W.E. Newton, D.A. Case, S.J. George, H. Wang, W. Sturhahn, E.E. Alp, J. Zhao, Y. Yoda and S.P. Cramer. 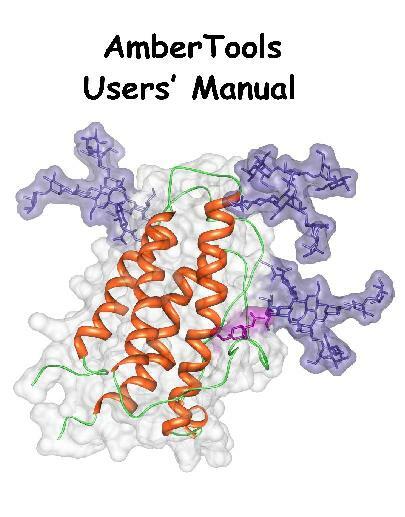 How nitrogenase shakes--initial information about P-cluster and FeMo-cofactor normal modes from nuclear resonance vibrational spectroscopy (NRVS). J. Am. Chem. Soc. 128, 7608-7612 (2006). Y. Guo, H. Wang, Y. Xiao, S. Vogt, R.K. Thauer, S. Shima, P.I. Volkers, T.B. Rauchfuss, V. Pelmentschikov, D.A. Case, E.E. Alp, W. Sturhahn, Y. Yoda, and S.P. Cramer. Characterization of the Fe Site in Methanothermobacter marburgensis Hydrogenase (mHmd) and a Model Compound via Nuclear Resonance Vibrational Spectroscopy (NRVS). Inorg. Chem. 47, 3969-3977 (2008). J.A. Fee, D.A. Case and L. Noodleman. Toward a mechanism of proton pumping by the B-type cytochrome c oxidases: Application of density functional theory to cytochrome ba3 from Thermus thermophilus. J. Am. Chem. Soc. 130, 15002-15021 (2008). V. Pelmenschikov, Y. Guo, H. Wang, S.P. Cramer and D.A. Case. Fe-H/D stretching and bending modes in nuclear resonant vibrational, Raman and infrared spectroscopies: Comparisons of density functional theory and experiment. Faraday Disc. 148, 409-420 (2011). D. Mitra, V. Pelmenschikov, Y. Guo, D.A. Case, H. Wang, W. Dong, M. Tan, T. Ichiye, F. Jenney, Jr., M.W.W. Adams, M. Kaupp and S.P. Cramer. Dynamics of the [4Fe-4S] Cluster in Pyrococcus furiosus Ferredoxin via Nuclear Resonance Vibrational Spectroscopy (NRVS) and Resonance Raman Spectroscopy – Quantitative Simulation by Density Functional Theory. Biochemistry 50, 5220-5235 (2011). J.D. Kim, A. Godriguez-Ganillo, D.A. Case, V. Nanda and P.G. Falkowski. Energetic selection of topology in ferredoxins. PLoS Comput. Biol. 8, e1002463 (2012). D. Mitra, S. George, J. Peters, S. Keable, V. Pelmenschikov, D.A. Case, and S.P. Cramer. Dynamics of the [4Fe-4S] cluster in Azotobacter vinelandii nitrogenase Fe protein in three core oxidation states via nuclear resonance vibrational spectroscopy (NRVS). J. Am. Chem. Soc. 135, 2530-2543 (2013). H. Chen, G.C. Dismkes and D.A. Case, Resolving Ambiguous Protonation and Oxidation States in the Oxygen Evolving Complex of Photosystem II . J. Phys. Chem. B 122, 8654-8664 (2018). H. Chen, D.A. Case and G.C. Dismukes. Reconciling Structural and Spectroscopic Fingerprints of the Oxygen Evolving Complex of Photosystem II: A Computational Study of the S2 State. J Phys. Chem. B, (in press).